Well, they are rich and thus obviously should be able to do whatever they want despite knowing nothing about education, right? Many families in the Kansas towns, which have grappled with underfunded public schools and deteriorating test scores, initially embraced the change. Under Summit’s program, students spend much of the day on their laptops and go online for lesson plans and quizzes, which they complete at their own pace. Teachers assist students with the work, hold mentoring sessions and lead special projects. The system is free to schools. The laptops are typically bought separately. Then, students started coming home with headaches and hand cramps. Some said they felt more anxious. One child began having a recurrence of seizures. Another asked to bring her dad’s hunting earmuffs to class to block out classmates because work was now done largely alone. “We’re allowing the computers to teach and the kids all looked like zombies,” said Tyson Koenig, a factory supervisor in McPherson, who visited his son’s fourth-grade class. In October, he pulled the 10-year-old out of the school. In a school district survey of McPherson middle school parents released this month, 77 percent of respondents said they preferred their child not be in a classroom that uses Summit. More than 80 percent said their children had expressed concerns about the platform. These silly kids and parents are surely passing up on some serious pedagogical innovation, right? In September, some students stumbled onto questionable content while working in the Summit platform, which often directs them to click on links to the open web. In one class covering Paleolithic history, Summit included a link to an article in The Daily Mail, the British newspaper, that showed racy ads with bikini-clad women. For a list of the Ten Commandments, two parents said their children were directed to a Christian conversion site. By winter, many McPherson and Wellington students were fed up. While Summit’s program asks schools to commit to having students meet weekly in person with teachers for at least 10 minutes, some children said the sessions lasted around two minutes or did not happen. American “innovation” in education is almost always nothing but grifting from people who want to take our nation’s best public good–the public school–and find a way to profit from it. 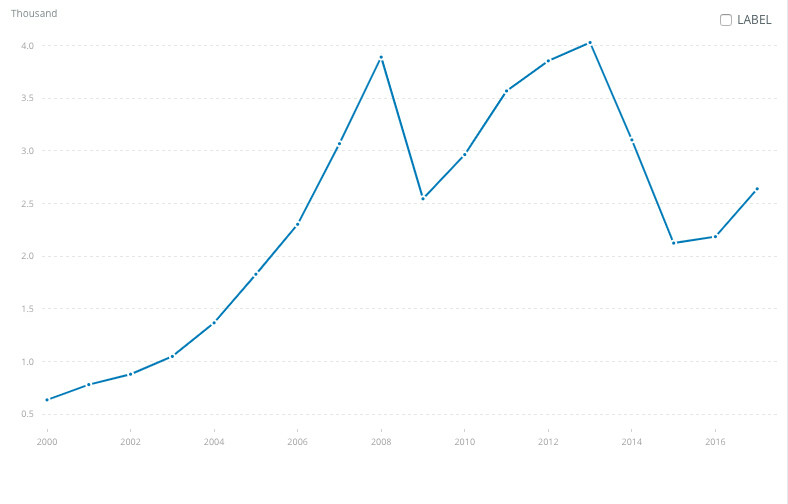 That very much applies to higher education as well, as this hot garbage shows. STAR WARS: Rise of Skywalker Trailer BREAKDOWN! A marine discovered a hidden recording device in March. 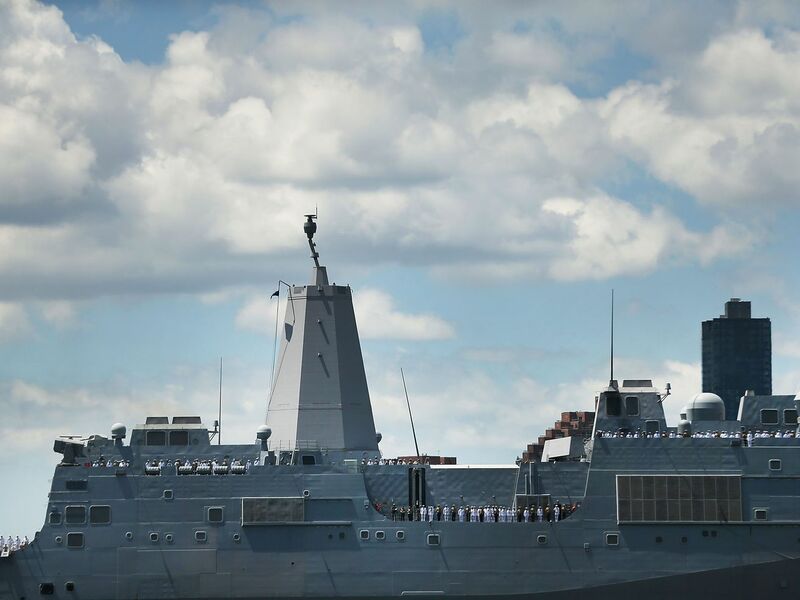 The US Navy is currently investigating a report from a female marine who said she found a hidden “recording device” in the women’s bathroom of the USS Arlington. The marine found the device, reportedly a hidden camera, in March NBC News reports. Speaking with Stars and Stripes, Commander Kyle Raines said the Navy takes reports of sexual harassment seriously. “The command has taken, and will continue to take, all necessary actions to ensure the safety and privacy of the victim,” Raines said. This isn’t the first time military personnel have raised the issue of hidden cameras aboard a US Navy ship in recent years. Back in 2015, the Navy Times reported on an elaborate “illicit filming” operation on the USS Wyoming in which male sailors would allegedly keep watch for superiors as their confederates secretly filmed female colleagues in places like shower changing rooms. The male sailors reportedly used banned devices such as cell phones to carry out the filming. Recording went on for 10 months before the sailors were discovered. Eight of the involved sailors were court-martialed. A 2018 RAND report found problems of sexual harassment to be a problem for the Navy. The report looked at sexual harassment and assault in all four branches of the US military, and found sailors to be at the greatest risk of sexual misconduct. Naval Criminal Investigative Services (NCIS) is currently investigating the camera found on the Arlington, which is currently docked in Greece. NCIS officials have said they cannot comment on ongoing investigations. Larry Mitchell Hopkins was arrested for illegal possession of firearms and ammunition. Larry Mitchell Hopkins, who also goes by Johnny Horton Jr. according to the FBI, is a member of the United Constitutional Patriots in New Mexico. The group posted images and video of its operations on its Facebook page; some of the videos show immigrants being detained by armed members. A recent video the group posted caught the eye of the American Civil Liberties Union (ACLU), which called on New Mexico’s governor and attorney general to both condemn the militia and end is operations. Mexico also chimed in on the actions of private militias on the border. Hours before news of the arrest broke, the country’s Ministry of Foreign Relations released a statement warning private militias operating on the US-Mexico border could lead to potential human rights abuses for those traveling through Mexico to request asylum from the United States. Over a year ago, immigrant caravans traveling through Mexico captured the attention of President Donald Trump, who claimed the immigrants, many of whom hoped to request asylum, posed a danger to the United States. A number of militia groups on the border took notice as well. US Customs and Border Protection (CBP) has asked private citizens not to try to help it do its job. 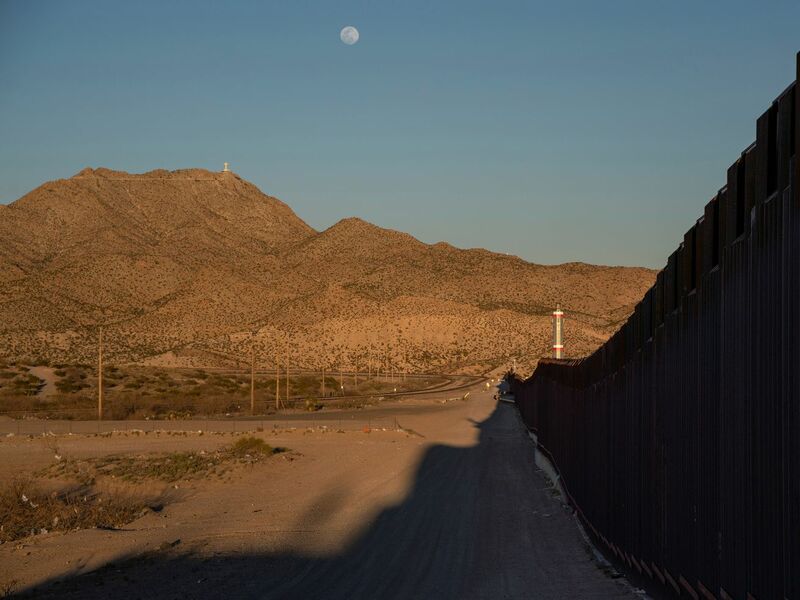 Instead, it suggests concerned citizens witnessing illegal border crossings call immigration and border officials rather than trying to apprehend immigrants themselves. Сука, два зеленіх свитера и зеленая кофта их же теперь хуй оденешь. Выборы закончились, президентом выбрали человека, которого еще полгода назад страна никаким боком к политикам не причисляла. A top police official alerted security officials in an advisory 10 days ago about a threat to prominent churches from a radical Islamist group, National Thowheeth Jama’ath. But it was unclear what safeguards, if any, were taken, or if in the end the group played any role in Sunday’s violence. And on Sunday, reflecting frictions within the government, the prime minister pointedly said he had not been informed. Top members of the Democratic Party appeared on television Sunday and were united in their messaging about the Mueller report. Rep. Adam Schiff, chairman of the House Intelligence Committee; Rep. Jerry Nadler, chairman of the House Judiciary Committee; and Rep. Elijah Cummings, chairman of the House Oversight Committee, all argued Mueller’s work paints a clear picture of obstruction and each suggested Democrats could move to impeach the president in the months to come. On NBC’s Meet the Press, Nadler told Chuck Todd there is “plenty of evidence of obstruction,” in the Mueller report. He added there is evidence in the report that could constitute grounds for impeachment. However, the representative said he believes “an impeachment is likely to be unsuccessful” because of the support President Trump enjoys in Congress. Schiff specifically mentioned Senate Majority Leader Mitch McConnell and House Minority Leader Kevin McCarthy as Republicans who would stand in the way of impeachment proceedings. 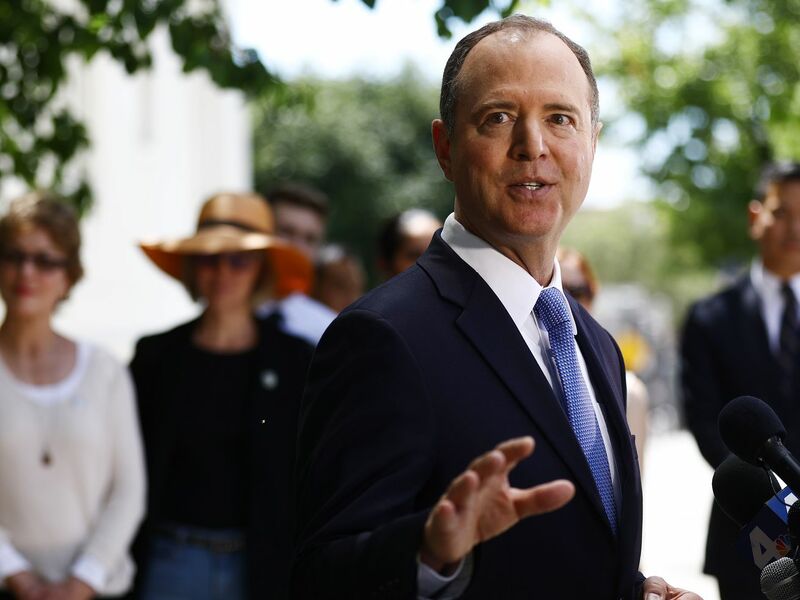 Despite this, Schiff said “it may be that we undertake an impeachment nonetheless,” and that Democrats will gather in the coming days to decide “what is the best thing for the country.” The Congressman argued not starting impeachment proceedings could send a message that the behaviors outlined in the Mueller report are “compatible with office,” and so Democrats might decide to work to impeach Trump knowing they will likely fail. Cummings also said Congress has a duty to send a message to the president that certain behavior will not be tolerated. Cummings also criticized Attorney General William Barr, who told reporters at a press conference held hours before the Mueller report was released last week the report exonerated President Trump. “He is acting as the defense counsel for the president of the United States, when really, he’s supposed to be our lawyer — the people’s lawyer,” Cummings argued. The trio have targeted Barr and Trump as a unit before. Just weeks ago, they released a joint statement after Barr released his summary of the Mueller report. “It is unacceptable that, after special counsel Mueller spent 22 months meticulously uncovering this evidence, Attorney General Barr made a decision not to charge the President in under 48 hours. 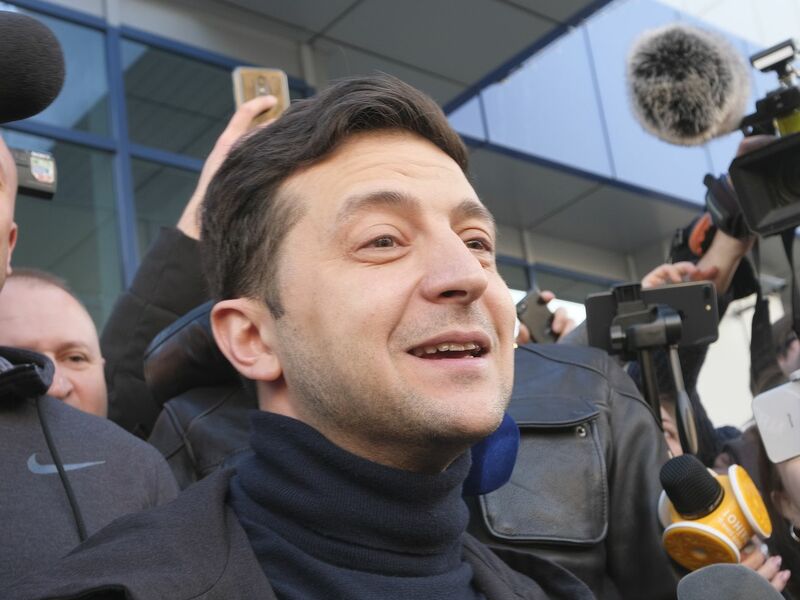 The Attorney General did so without even interviewing the President,” they wrote in late March. The public will likely be hearing from all three men quite a bit in the weeks to come, particularly Nadler, who revealed on Meet the Press he plans to call former White House counsel Don McGahn to testify before his committee. The Congressman also requested Robert Mueller himself appear before the Judiciary Committee no later than May 23. The Syfy series caps off its season perfectly —it just wasn’t the season most of us fans thought we were watching. Every week, we pick a new episode of the week. It could be good. It could be bad. It will always be interesting. You can read the archives here. The episode of the week for April 14 through 20 is “No Better to Be Safe Than Sorry,” the season four finale of Syfy’s The Magicians. The first time I watched “No Better to Be Safe Than Sorry,” shortly after it aired, I found it to be a frustrating, unconvincing, potentially irresponsible end to a frustrating, unconvincing, potentially irresponsible season of one of my favorite TV shows. The Magicians, in both book and TV show form, has meant so much to me in the decade since I read Lev Grossman’s 2009 novel, the first installment of the author’s Magicians trilogy. But the fourth season of the show, while often magical (and containing what I would call the series’ best episode), occasionally felt like butter spread thin on toast — too little story for a 13-episode run, with a bunch of episodes that felt a little like the series running in place for no good reason. And initially, “No Better to Be Safe Than Sorry” fell in line with that assessment. After my first viewing, it felt simultaneously overstuffed and empty, like it was trying to tell two directly opposed stories at once. Yet something kept nagging me about the episode, a sense that I had missed something important. So over the next 36 hours or so, I completely rewatched season four to see if my feelings would change. In the end, I was still frustrated by a lot of it, and I was still unconvinced by some of it, and I’m still worried about some of the storytelling choices and how they might reverberate with The Magicians’ audience. But the back half of the season especially is as emotionally raw and real as anything that has aired on television in ages, a heartbreaking exploration of the idea that sometimes there aren’t any answers, so you have to make your own. It was frustrating and unconvincing and potentially irresponsible, yes. But I loved it anyway. Eliot and Margo are great characters — but they’re not conduit characters. A big barrier to entry for many would-be Magicians fans is the character of Quentin Coldwater. He’s privileged and possessed of magic powers, yet he behaves as if his pain and emotional woundedness are the only things that matter, even when those around him are struggling so much more. Grossman’s The Magicians is told entirely through Quentin’s point-of-view, and if you are not an insufferable, emotionally constipated, possibly depressed white guy of means in his early 20s (or have not been one of those at some point in your life), well, it’s easy to wonder why this is the lens Grossman chose to tell his story through. But in the trilogy’s final two books — 2011’s The Magician King and 2014’s The Magician’s Land — the story’s point-of-view starts to disperse among its many other characters. First, we see through the eyes of Quentin’s childhood friend, Julia (in The Magician King) and by the end of The Magician’s Land, almost everybody in the ensemble gets a chapter told from their perspective. The result is an elegant mirror of the way that growing up and becoming a mature adult requires accounting for the thoughts and perspectives of other people, no matter how much you might not want to. The TV series couldn’t shift its perspective in quite the same way the novels did, but it depicted that journey by gradually reducing TV Quentin’s (Jason Ralph) importance to the narrative. He was still central, but he slowly came to realize that he was not the great hero he had previously imagined himself to be. Others in his friend group were more powerful, more intelligent, or just more thoughtful. What Quentin could do was bring people together. If The Magicians wants to do a story featuring Julia (Stella Maeve) and nerd king Josh (Trevor Einhorn), there isn’t really a natural way to force the two of them together. But they both know Quentin well, so he becomes the conduit. Audiences tend to hate conduit characters. Their centrality often feels baffling, because they’re rarely the most interesting figures on their shows, and on some level, I think, we can feel the contrivance inherent in, “Well, this one guy sticks around because he knows everybody else at least a little bit.” It feels like a storytelling cheat, because deep down, it is. But on a show with an ensemble as far-flung (in terms of being spread across multiple magical realms) as The Magicians, a conduit character is necessary to knit things together. It is not for nothing that Quentin’s magical discipline — long masked from him and the audience — was revealed earlier in season four to be “minor mending,” a.k.a. fixing small and broken things. He does that frequently within the show’s structural fabric. So you can imagine my surprise when I watched the season finale — and really, turn back now if you haven’t seen it, because I’m about to spoil a pretty major twist — and the episode killed off Quentin, explicitly, on-screen, even sending him to the afterlife so that we might not be tempted to think he’s coming back. The Magicians wasn’t just killing its protagonist. It was killing its center, which from a storytelling perspective is even more terrifying. Quentin and Penny look on as their friends mourn the former. If you rewatch season four keeping in mind that Quentin is going to die, a lot of its flaws snap into place. The actual plot of the season — involving the characters trying to save both the world and their friend Eliot (Hale Appleman) from a monster that has taken over Eliot’s body — runs itself ragged by going in circles. By the time The Magicians introduces the idea that maybe what the monster wants is to resurrect its sister, and yeah, that’s been the plan all along, you can see just a little flopsweat from the show having to sustain this plot for a full 13 episodes. But where season four excels is in building an emotional arc about the characters slowly confronting some of their own inner demons in an attempt to grow toward maturity. This element is most explicit in the season’s 10th episode, a literal journey through the wilderness for the catty and quip-ready Margo (Summer Bishil) as she attempts to find her life’s purpose. (It’s also a musical!) But at some point, every single member of the show’s large cast finds themselves confronting a very real manifestation of their worst fears about themselves. For Quentin, those worst fears are two in number — that he never mattered (i.e., that he was never the protagonist of this story after all) and that he is simply marking time before he dies by suicide. Season four externalizes both of these fears, which is both why I keep calling it “potentially irresponsible” and why I find it so thrilling. Let’s start with Quentin’s first fear: that he’s not the protagonist. The season’s best episode (and, I would argue, the series’ best episode), “The Side Effect,” takes the form of several small stories about some of The Magicians’ extreme supporting players, revealing just what they’ve been up to in the midst of the season’s main quests. It also plays around with the idea of “white male protagonism” — the idea that we’re conditioned to believe white men belong at the center of almost all stories, because that’s where so much of pop culture tends to put them. “The Side Effect” isn’t preachy about this, because it’s too busy focusing on its tiny romps with The Magicians’ supporting players. But it comes up in the first scene, then hangs over the rest of the episode: What does it mean for a story to be “about” someone? What does that do to them? What does that do to you, if you’re not them? And then at the end, we learn that somebody will be headed to the afterlife by season’s end, though not who it will be. (The show uses this raw plot idea to build at least some tension throughout the season’s final half.) 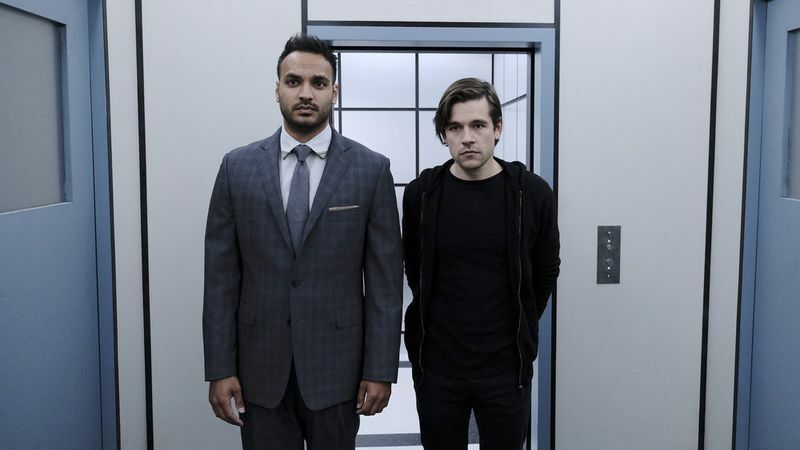 Thus does “The Side Effect” become the key to unlocking the rest of the season: The Magicians is Quentin’s story not because he was a hero, but because he brought other people together. And it’s his story because after he brought them together, he died. His worst fear is both realized and subverted at once, in a way that he can take at least some pride in as his spirit watches his friends mourn. It’s Quentin’s other darkest fear — suicidal ideation — that The Magicians is clumsier about. Telling stories about a character having thoughts of suicide is tricky, simply because it’s so easy to trigger such thoughts in others. Journalists have deliberate guidelines we can consult to hopefully temper this problem, but storytelling will always face a tougher challenge, because it can’t rely on the distancing effect of carefully chosen terms. The Magicians’ metaphorical treatment of mental illness has never had the neat cohesion of some of its other metaphors. Sometimes magic makes things worse; sometimes it makes things so much better. Its effect on your life might depend on the circumstances or just who you are. But where I think The Magicians’ fourth season succeeds as a whole (albeit not quite in the finale by itself) is in asking what the line is between “I don’t care if I live or die” and “I actively don’t want to live.” The former is often the basis of heroism; the latter is often mental illness. And the division between them is never as clear as we might like it to be, for any of us. The Magicians leaves Quentin unfinished. That’s true to life, but also plays into some troubling tropes. Penny and Quentin head into the afterlife. But what social media outcry there has been around “No Better to Be Safe Than Sorry” mostly stems from the episode’s treatment (or lack thereof) of Quentin’s bisexuality, which makes him the latest in a long line of queer TV characters who’ve died seemingly to advance a show’s plot. Much of season four, in which Quentin is intent on rescuing Eliot for reasons even he seems unable to explain to himself, hinges on his romantic past with Eliot, covered in the show’s third season and an earlier season four episode (which my colleague Constance Grady wrote about). But the season also delves into his tumultuous relationship with Alice (Olivia Taylor Dudley), the woman he romanced for much of The Magicians’ first season before the two broke up in emotionally devastating fashion. And because Eliot is a monster for most of the season, where Alice is Alice, it’s Alice whom Quentin has a short romantic reconciliation with before he dies. He doesn’t get to talk to Eliot or see Eliot again. This is not, I don’t think, a version of the “bury your gays” trope in its most irresponsible sense. Eliot will continue to be very alive and very gay, and it’s clear that what character arc he has in season four is about learning to open himself up to another person (meaning he’ll hopefully have a boyfriend soon). 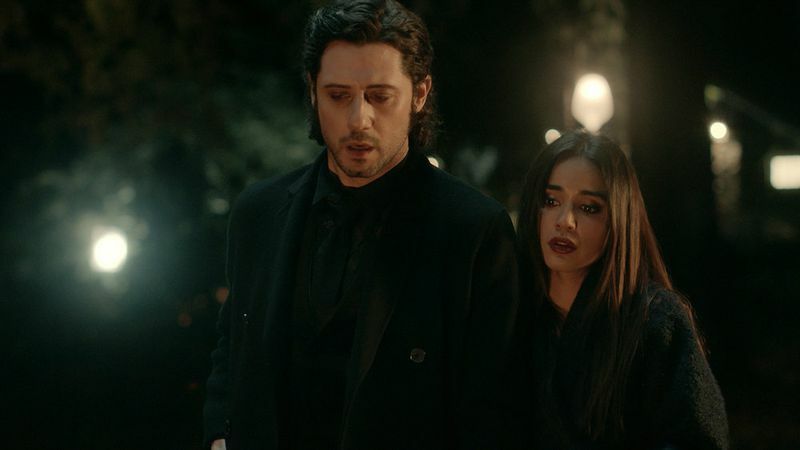 What’s more, The Magicians has always practiced a kind of cynical pansexuality — the show is more than happy to have anybody sleep with anybody so long as it can get the proper mixture of laughs and emotional devastation out of it. And it’s not like Quentin was a character who existed merely to die. He was the show’s central character, and the ripple effect of his death looks to be one of its primary story threads going forward. Still, the Quentin and Eliot romantic relationship was the one thing the series buried in its subtext in a season full of bold, highlighted text. During my rewatch, it was easier to pull out how Quentin’s quest to save his friend and former lover was driven by both versions of the duo’s relationship, but the show didn’t do much to emphasize the twin sources of his motivation. And though it offered a lovely acknowledgement of Alice and Eliot as Quentin’s exes (when the two held hands at his memorial), it still felt a little like too little, too late. So maybe I’m cutting The Magicians too much slack, in a way that devastated fans of the Quentin and Eliot pairing would find unforgivable. But “No Better to Be Safe Than Sorry” doesn’t treat Quentin as expendable story fodder. Far from it. 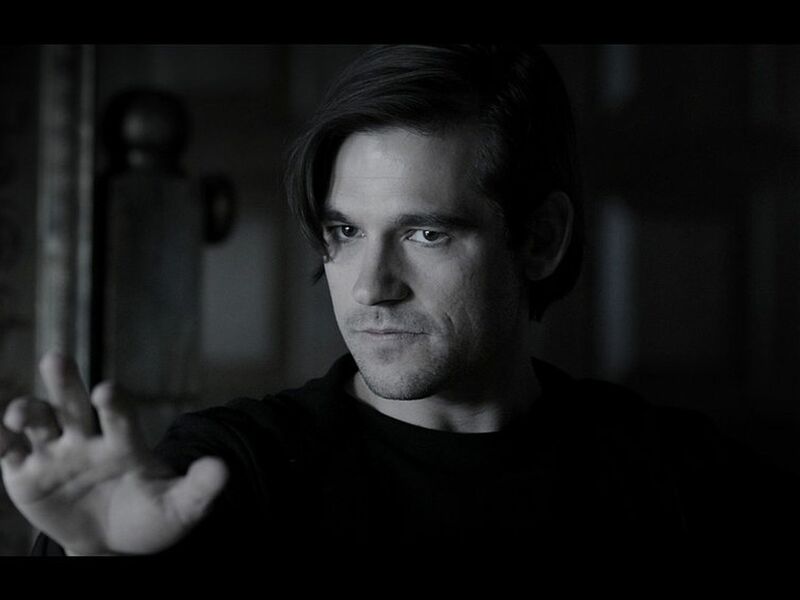 Instead, the episode establishes his legacy as a series of questions The Magicians’ other characters will never get to resolve. The grief they feel isn’t because he died, but because they won’t ever know what his life might have been. That feels truer to me than a lot of other TV deaths, carried out for shock value. But I’ll miss the way Ralph gave one of TV’s most vulnerable, hollowed-out performances. The Magicians’ fourth season depicted Quentin as someone barely keeping his head above water, having to pal around with a monster, powerless? as his friends tried in vain to find some other way forward. And Ralph rose to every single one of those beats, even if it was difficult to watch at times. That’s how the actor eventually transcended complaints about The Magicians having an insufferable white guy at its center. Sure, Quentin was that, but he was also a walking wound who never quite found a way to stitch himself up. The person I was when I read The Magicians in 2009, who identified so strongly with Quentin Coldwater, has mostly evolved into somebody else. (I’m much more prone to identifying with Julia these days.) 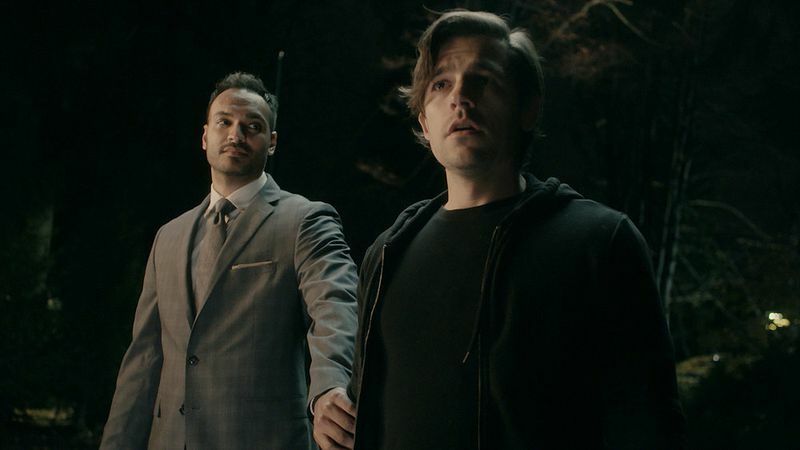 But The Magicians, frustrating and unconvincing and potentially irresponsible as it can be, will always have my heart for throwing itself into the center of dark, dangerous ideas and poking at them. I didn’t like the finale at first because it made me feel so sad and angry and helpless, and then I realized that was the point. The Magicians’ first three seasons are streaming on Netflix. The fourth season is available on Syfy’s streaming platforms. Season five airs in 2020. “There’s nothing wrong with taking information from Russians,” President Trump’s personal lawyer, Rudy Giuliani, told CNN’s Jake Tapper on State of the Union Sunday morning. “Stop the bull. Stop the pious act,” Giuliani said of Romney, alleging the Utah senator accepted “dirt” on people while running for president against former president Barack Obama in 2012. Tapper pressed the lawyer, asking him if there was a difference between taking opposition research from Americans and taking it from American adversaries. The former New York City mayor also appeared on Meet the Press Sunday morning, and told Chuck Todd he agrees Russian interference in the 2016 election was designed to help the president and his election efforts. Todd asked Giuliani whether there was anything wrong with a campaign using information stolen by foreign adversaries. Giuliani said, “Depends on the stolen material,” and attempted to rebuke the media for providing coverage using stolen information. Tapper asked Giuliani about this paradox. Giuliani went on to claim the report is biased against the president, and argued it leans too heavily on the testimony of Trump’s former personal lawyer, Michael Cohen. According to Giuliani, “Cohen’s incapable of telling the truth.” He told Tapper Cohen lied to Mueller about the offer of a presidential pardon. In March, Cohen’s legal team admitted he had asked for a pardon, presumably for remaining fiercely loyal to the president for months after a raid in 2018. 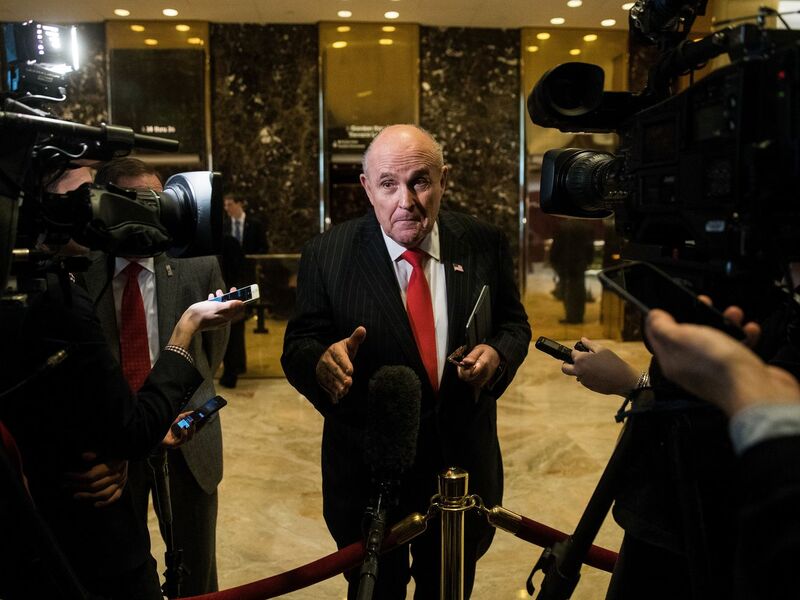 As Vox’s Andrew Prokop noted then: “What’s not yet entirely clear is whether this was mainly a case of Cohen seeking a pardon to no avail or whether he received an encouraging response from Trump’s team on the topic.” Cohen has suggested it was the latter; Giuliani suggests it was the former. Pressed on when this elusive report would be released, the president’s lawyer said he believes it will come out after Attorney General William Barr and special counsel Robert Mueller testify before Congress. vox_feed - The Magicians’ season 4 finale was frustrating and maybe irresponsible. I kinda loved it.